Kelmscott House is a Georgian brick mansion at 26 Upper Mall in Hammersmith, overlooking The River Thames. It was the London home of English textile designer, artist, writer and socialist William Morris from April 1879 until his death in October 1896. Originally called The Retreat, Morris renamed it after the Oxfordshire village of Kelmscott where he had lived at Kelmscott Manor from June 1871. Nearby, Morris began his "adventure in printing" with his private press, the Kelmscott Press, which he started nearby at 16 Upper Mall in 1891. 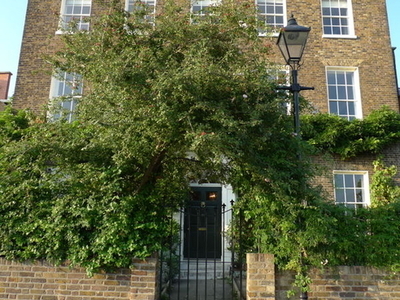 Here's the our members favorite photos of "Historic Houses near Hammersmith and Fulham". Upload your photo of Kelmscott House!